It's time for me to face the fact Christmas is on it's way - yes I am one of those people who will fight the urges for as long as possible before accepting that once again things are getting festive up and here and to just embrace it. One of my favourite ways to get into the spirit of things is to get my craft on and since last year I made a wreath for Halloween, it dawned on me that I have never made a Christmas one. 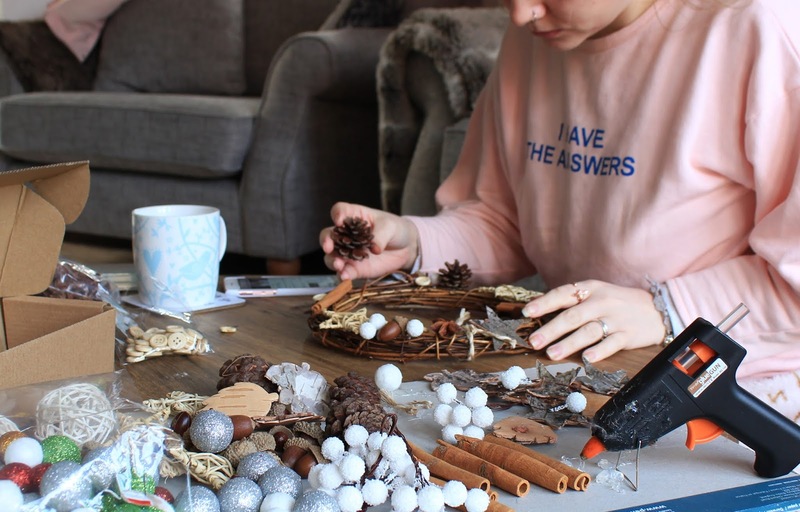 This fit in perfectly with Baker Ross asking me if I fancied getting stuck into a festive project this season and after mooching through their website at their arts and crafts supplies, I had my heart set on their 'Naturals' range. I was crazy impressed with the variety of materials available and they were kind enough to send over a crafty hamper of goodies so I could spend an afternoon wreath making with my little sister. I actually did my own wreath by myself for two reasons; the first being I wanted to have a design ready and available to help inspire an 8 year old with her own wreath and I also wanted to make sure the methods I had in mind would work! The second being I knew a glue gun would probably be needed at some point and being a responsible adult I wanted to be able to give my full attention to my sister when helping her to use it. Fun fact: it hurts SO BAD if you get melted glue on your fingers and I have already learnt the hard way! The reason I chose supplies from the naturals range is really down to the fact that these days with live in such a plastic ridden world, that when it comes to arts and crafts I think it's a great way to get children and adults alike creating, but also being mindful of waste, using natural resources and also connecting to nature a whole lot more. I did choose some funky glitter balls and artifical snow berries as part of my gifted hamper, but since these wreaths are something I will be getting out year after year and getting plenty of use out of, my plastic police sirens lay low for those couple of products. 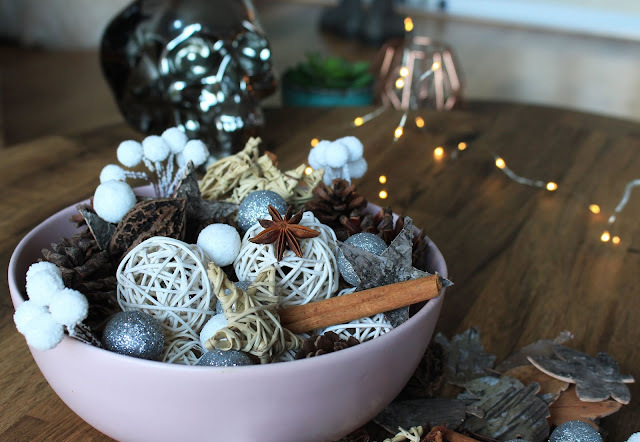 What I did get though, was a selection of dried walnuts, acorns, pinecones, wooden buttons, twine, vine balls, stars, bark shapes, star anise and of course the ratten wreaths. I already had my glue gun and just a tiny disclaimer, I've had this gun and glue sticks for years and have no idea if the glue contains any animal derived ingredients, but for future restocks of the glue sticks I will be trying to source cruelty free versions. I set myself up a little work station at my coffee table and top tip, use some sort of sheet of cardboard to rest your glue gun on to stop any dripping glue from damaging your work surfaces! I started by adding the larger pieces like the vine stars and pinecones first as it's much easier to then build around these pieces with the smaller bits after. 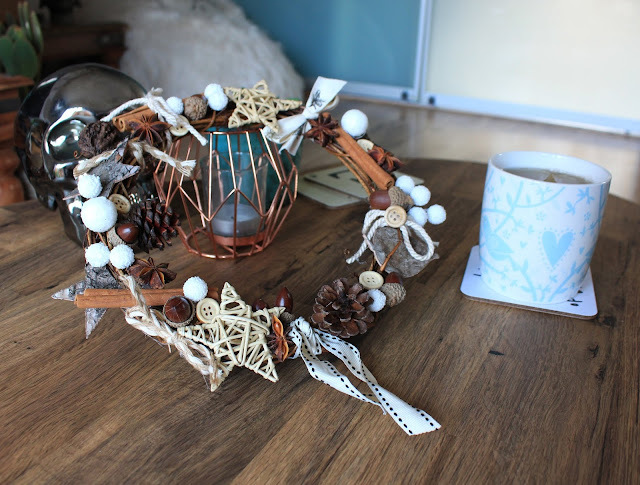 Most of the time everything stuck to the rattan wreath with melted glue no problem and I used a little extra glue round the back of the wreath to reinforce some pieces like the walnuts which were quite heavy. I dug out some old strings and ribbons too from a box I keep full of scrap materials and they were perfect for this! 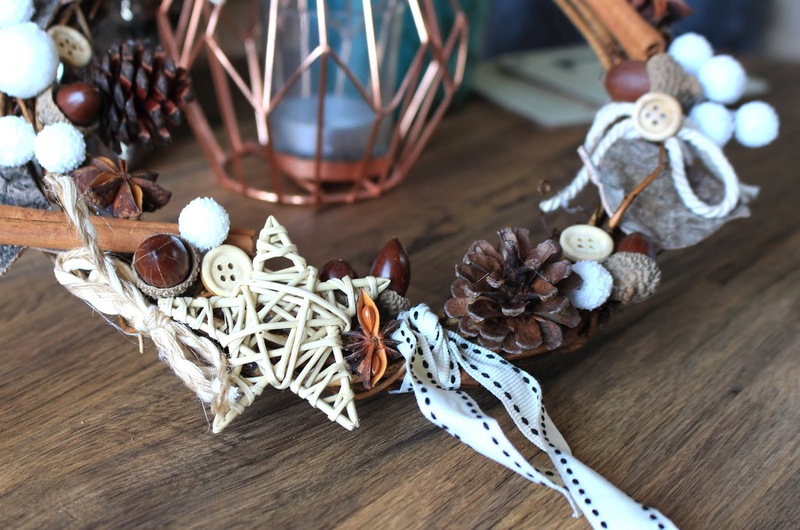 I made some bows here and there and the variety of textures worked so well with the rest of the naturals range that by the end I was super pleased with what I'd managed to make! Even after my sister has made her wreath (I suspect she'll use a fair few of the glitter balls!) 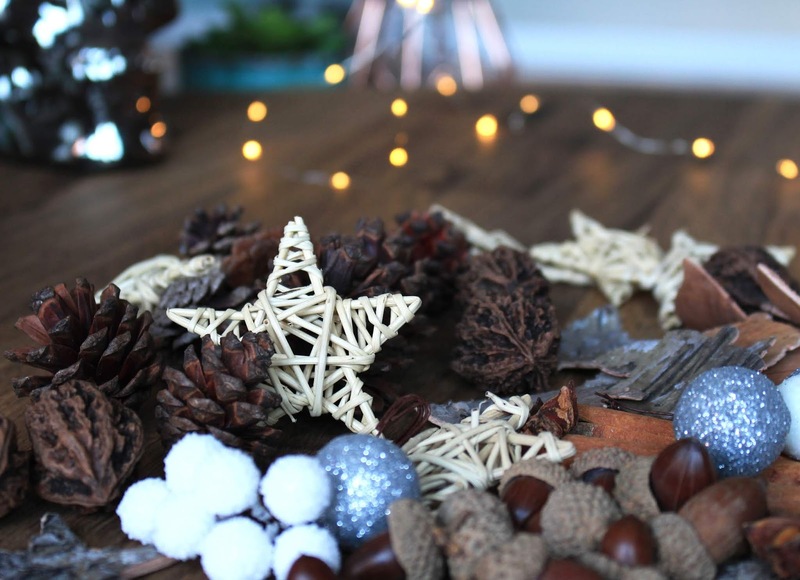 I'm going to have so much left over from the supplies but I've already decided that the cinnamon sticks and vine stars in particular will be lovely to decorate Christmas presents with this year! 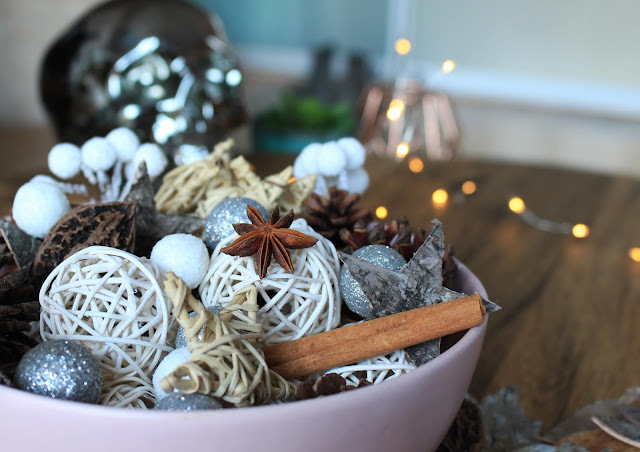 The stars have space to tie some sort of festive twine through so you could tie them into your presents or even add them into your Christmas tree for something a bit different. Baker Ross are typically aimed at children and it was really lovely to hear over on Instagram that a few of my story viewers had often bought their craft supplies from them for their kids or even school supplies. There is still plenty to choose from if you're an adult crafter though and the naturals range is definitely my favourite! 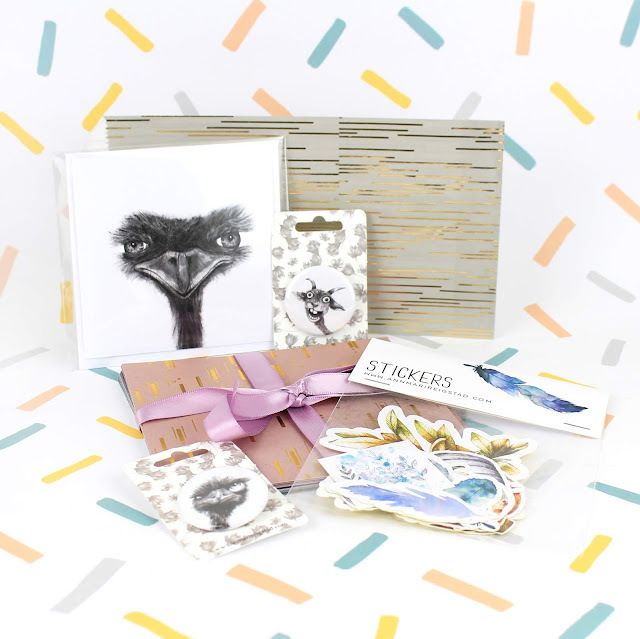 Although I don't have children of my own, my sister loves to create so getting her involved is going to be real good fun, plus any arts and crafts loving child would be incredibly happy with a craft hamper for Christmas - I know I certainly would be! 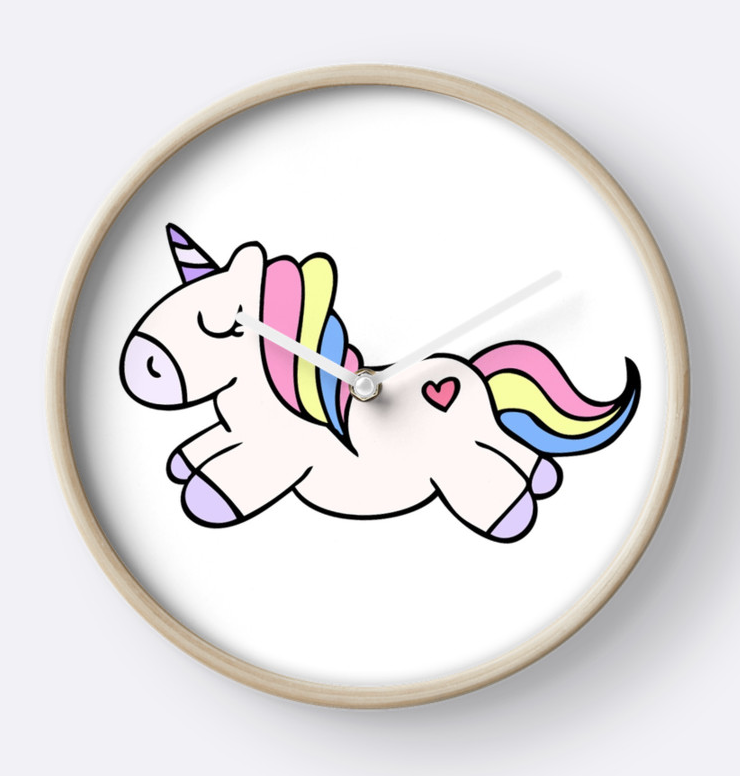 Or if you're a parent or older sibling like I am, it's so lovely just getting kids to be creative and explore the world of crafts a little more. 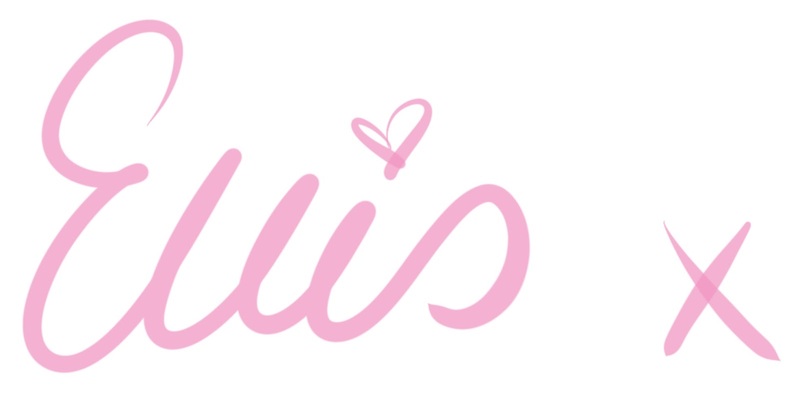 The brand have an enormous range of supplies and materials at very good value for money too; I personally was really amazed at how much was included for the price of each item and if you want to save a few more pennies, ELLIS20 will get you 20% off a £20 spend! 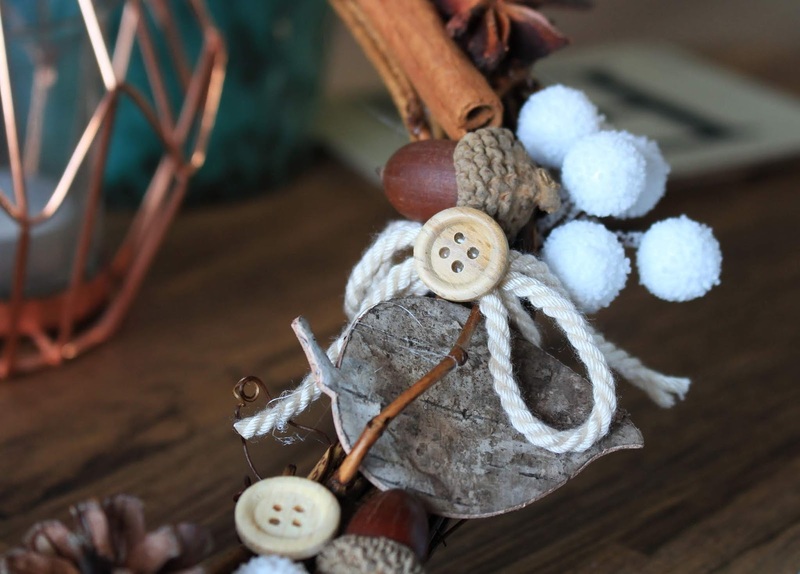 Have you ever made your own wreath before? *These arts and crafts supplies were gifted to me by Baker Ross in exchange for a review on my blog. As a small business owner I can confirm that it's true; we all do a happy dance when someone chooses to support our work. I read recently somewhere that every time you make a purchase, you're deciding what kind of world you want to live in and this really hit home for me. Ever since going self employed and taking my illustration work full time, I've appreciated more than ever the support of shopping small and independent as well as how precious every single order is. Because of that, I also love to support my fellow indie businesses and love to share them with you too for gift ideas or treats for yourself. I thought I did a good job last year with gifts and supporting small business but this year I've taken it to a whole new level and found even more amazing creatives to support. I ordered myself an adorable vegan themed print from Emma over at The Punky Bunny and I was SO blown away by the quality. 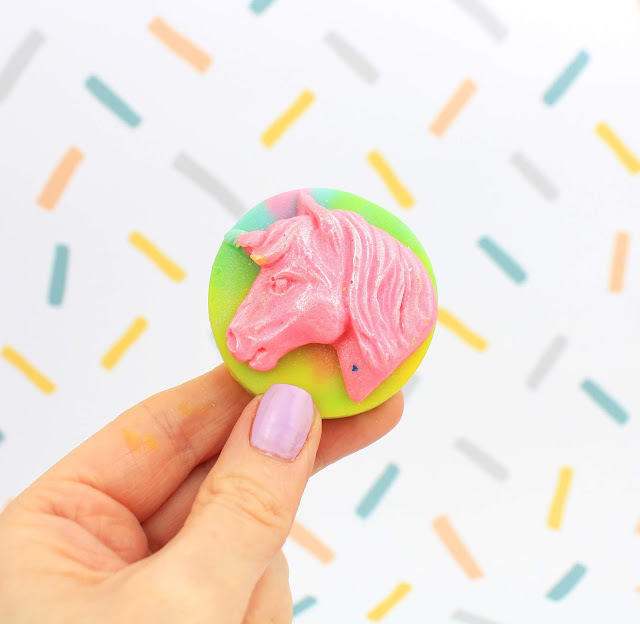 Emma is a small biz chum of mine and a fellow vegan, a passion which is channeled through Emma's work along with a care for the environment and making things as eco friendly as possible. 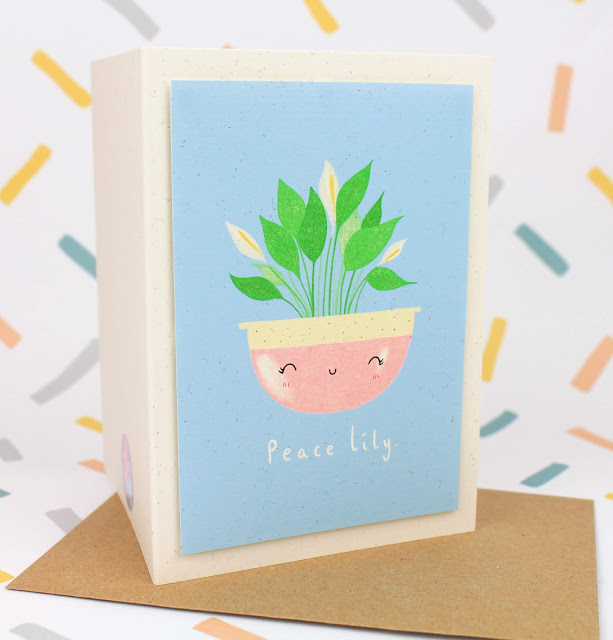 The print was made with a thick recycled card with the most vibrant, solid colours with the little grains of the card's texture still showing through which I adore. 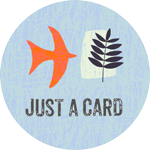 I even ended up ordering some of the card for my own shop I loved it that much. Emma boxes everything up using recycled wrapping and packaging too! 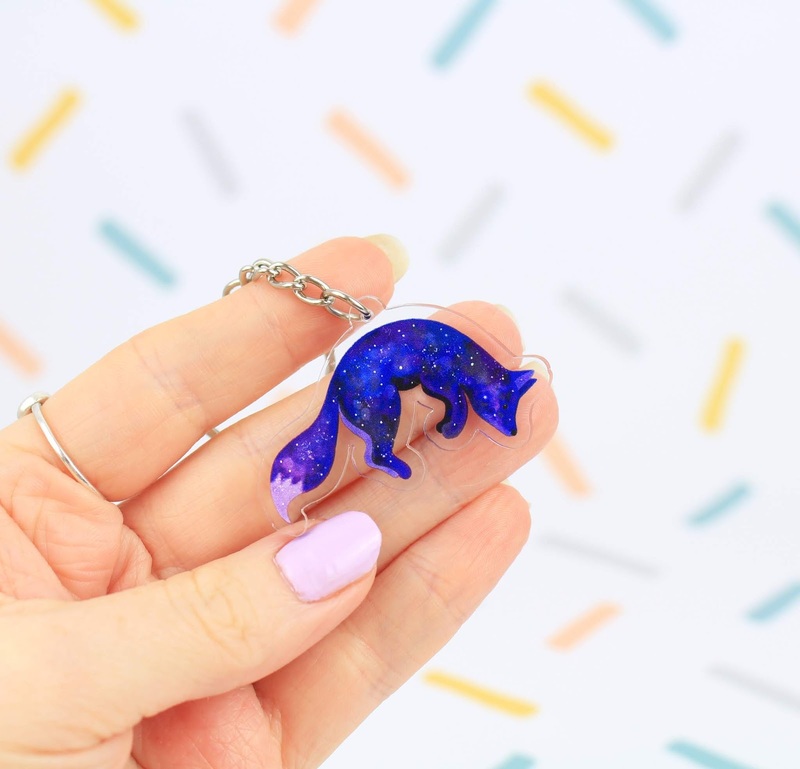 Very recently Emma also released these adorable key rings and pins into the wild and I just had to get myself one. Lily is another of my online pals who I have met through the small business world and I recently backed her Kickstarter for wooden pins featuring her adorable 'through the seasons' woodland critters. Lily has an enormous love for animals, especially those who live in the woods and the badgers...don't show Lily any badgers or she will quite literally loose her mind. Lily is also a physicist hence the awesome name for her small business and the badgers in astronaut attire! Never have I known anyone with so many badger themed mugs and jumpers but I think it's an adorable obsession to have. 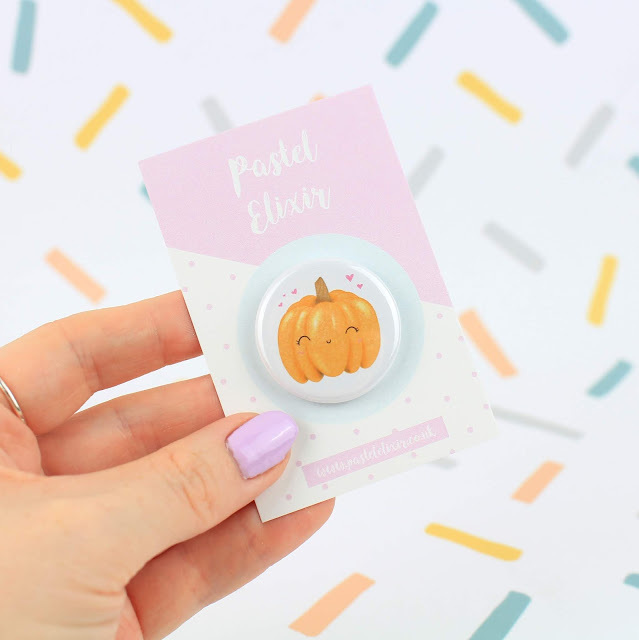 I'm a regular over at Sugar and Sloth but it wasn't until this month that I decided to treat myself to the Pin Party subscription box as a little birthday treat to myself. 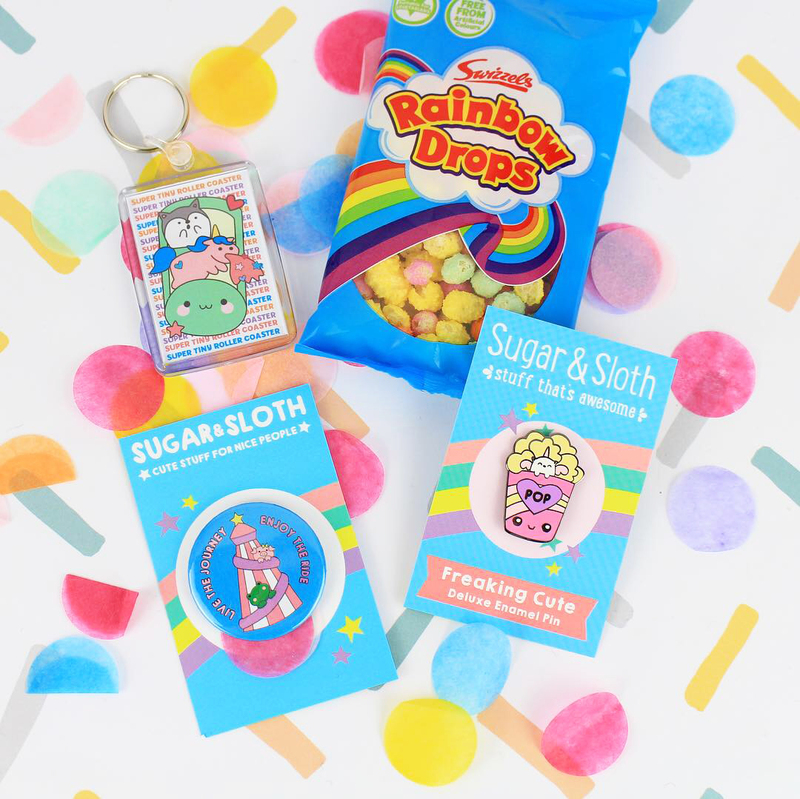 Basically, each month for £9, you get quite literally a little party in a box and a brand new enamel pin amongst other treats. 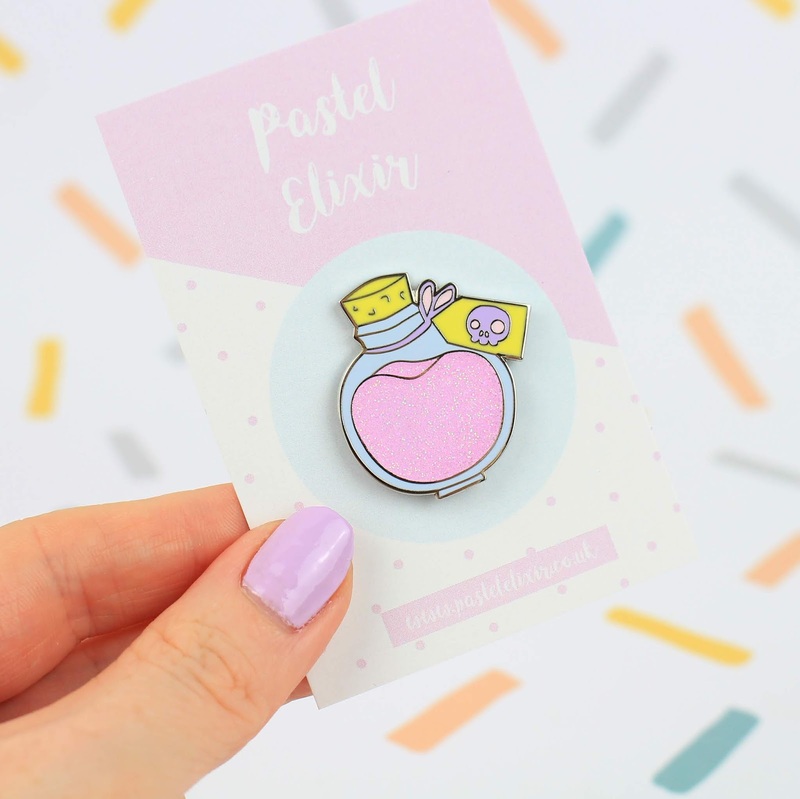 Each month has a different theme and the pins aren't available to buy separately unless you're lucky enough to buy any left over boxes Anita might have from that month. This makes them really special and exciting, plus a subscription service is a great gift idea especially for the person who seems to have everything or the crazy pin collectors. The price also includes delivery! 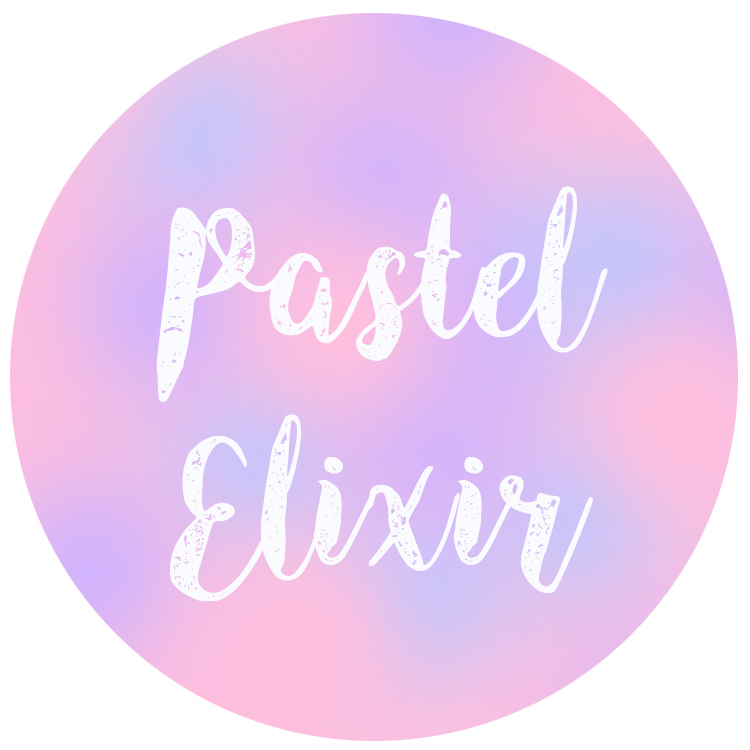 A few weeks back, Scent Circus and I did a little product swap and I received a selection of wonderful wax melts from them to try as I'm a massive addict when it comes to making my home smell fresh as a daisy. This one was my favourite and it's the 'So Horny' melt which if you don't find funny, who even are you? It really tickled me and everything from this store has a really cheeky yet sweet vibe about it and I can't wait to go back for more. The prices are very reasonable too and there are even little gift pouches you can buy as extras to make your gifts that tad more special. My order came beautifully wrapped with tissue paper and confetti in a letter box friendly sized parcel box - ready and waiting to give as a prezzie! Ann-Mari is one of my new online small business friends from the beautiful country of Norway and she creates stunning pieces of what I believe to be mainly watercolour art. She truly is such a talented illustrator and was kind enough to send me some samples of her work which was super thoughtful and my goodness, I am SO in love with her style especially her cheeky little animals! This little emu guy is getting framed for my studio wall because I find him so funny. I'm always collecting gorgeous greeting cards to frame so if you have someone who's walls are full yet they still love to collect art, greeting cards are a fab alternative due to their little size and they're great for adding a bit of variety to a display. These stores are just a few of my current favourites right now and I love to support them where I can! 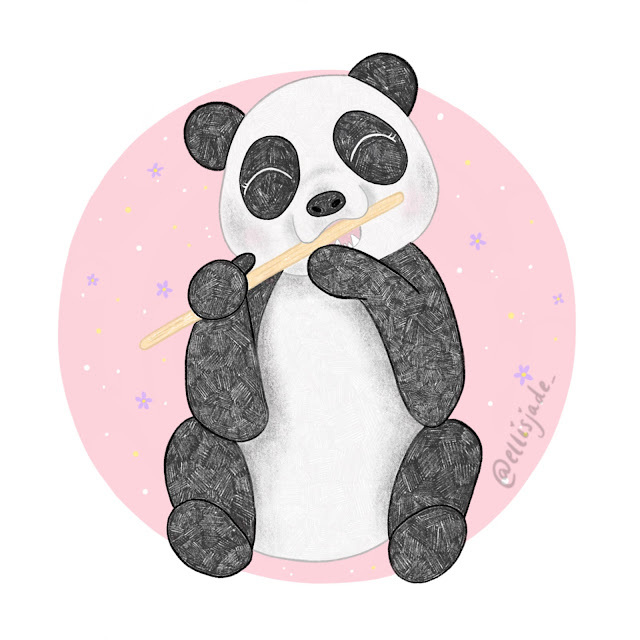 I also enjoy discovering new ones too so if you have any favourites or regular places you love to buy from, feel free to throw them my way! 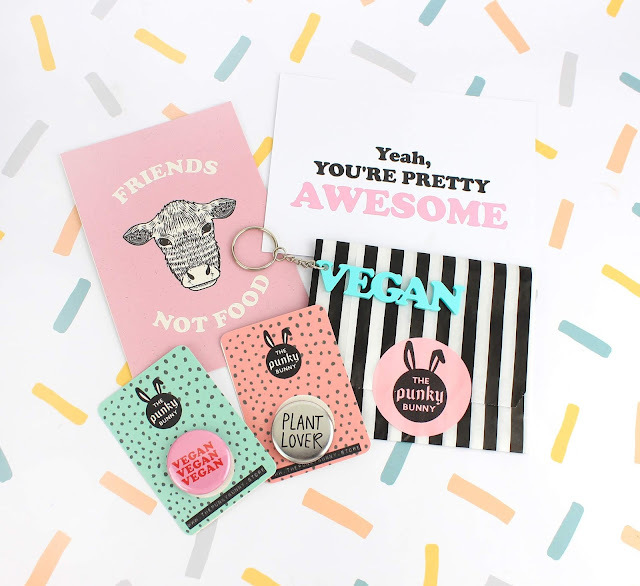 If you have a vegan in the family or if you have a plant based chum for that matter, I can imagine it might feel a little challenging at times when thinking of gift ideas. Look no further my friends because here I bring to you this year's Selection Box by The Vegan Kind. I'm a huge chocolate lover and this box, let me tell you, I wasn't sharing with anyone except the husband and even then I monitored his allowance. 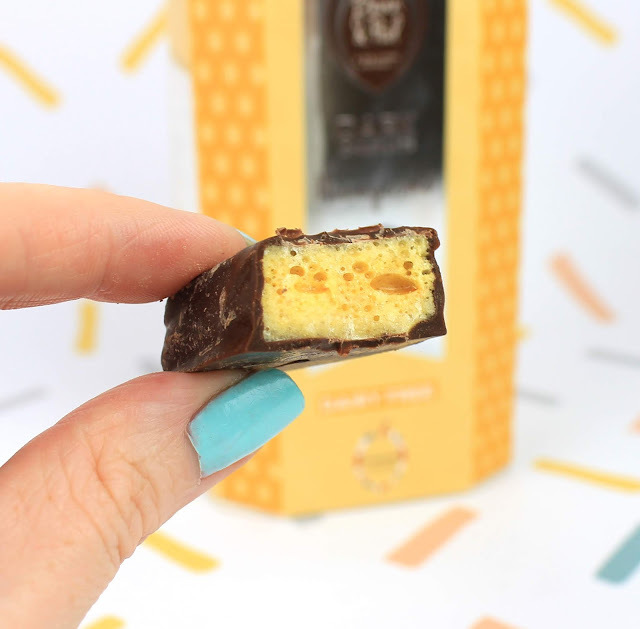 I love honeycomb (it's that delicious substance found in the centre of Crunchie bars) and every time someone sees me eating it they screach 'HASN'T THAT GOT HONEY IN IT?!'. No no, it's totally vegan friendly and when it's got a coating of chocolate it's even more yummy. This box alone would make a perfect little stocking filler or a cheeky prezzie for any other time of year. I loved it and my only disappointment was I ran out of the stuff! But I ate it all so, what can I expect? Definitely my fave from the entire box! 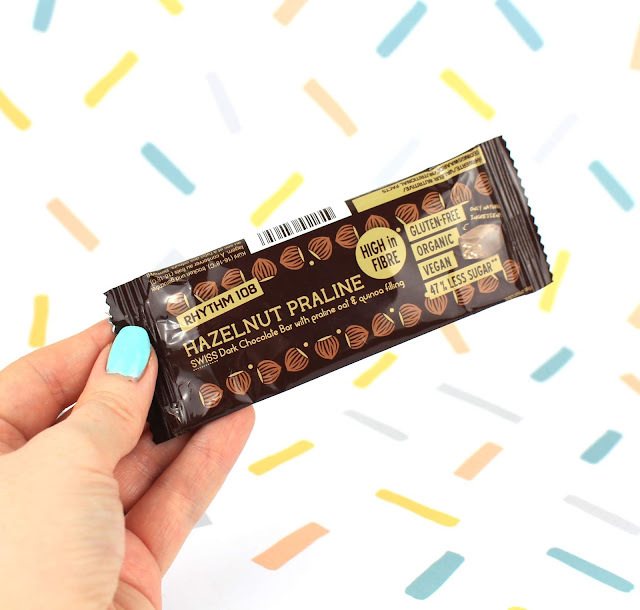 This little demon was something that I was looking forward to from the moment I saw it as praline's were always my go to in big boxes of chocolates. James didn't seem too fussed, that is until he got his mouth around it. I cut it in half (he thinks it was half, I definitely had the bigger 'half') and his face completely lit up as prior to vegan life he was a huge fan of Ferrero Rocher and this is the ultimate dupe. 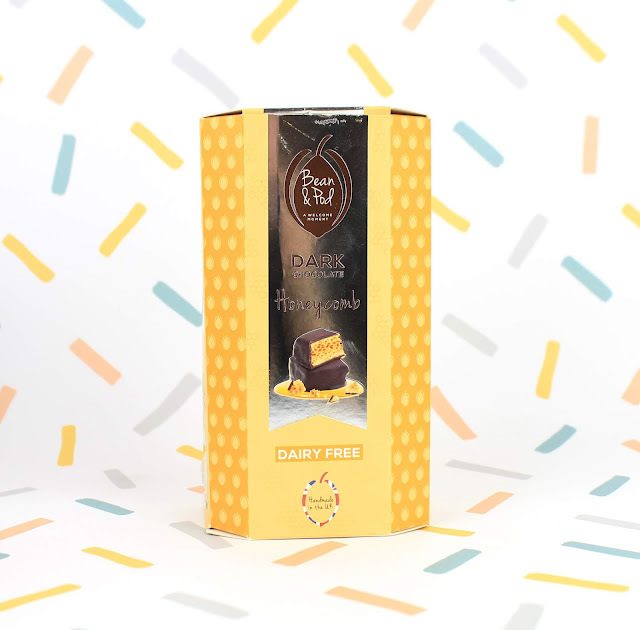 The vegan gods have answered our prayers and landed this bar of complete and utter delight into our laps and it was one of the most incredible chocolates I've ever tasted, truly. I'll be getting more of these in for sure plus the brand have two other flavours to try! Rude not to. Taking a guess, I think after the praline these were James' favourite treat from the selection box. 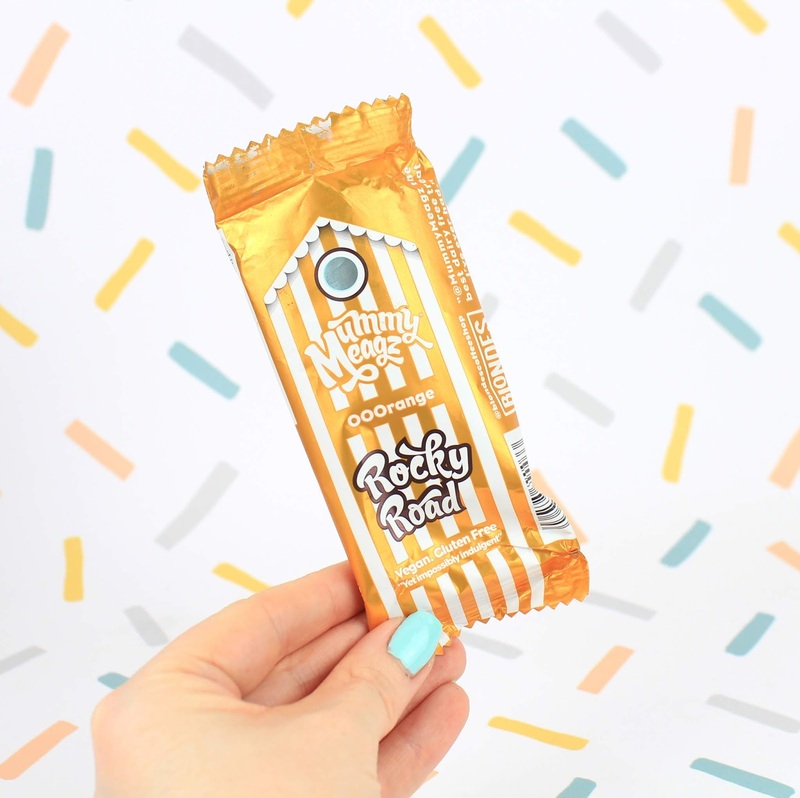 They are pretty much vegan Smarties, except they seem to have a subtle minty flavour to them which depending on your tastes, you may love or hate. 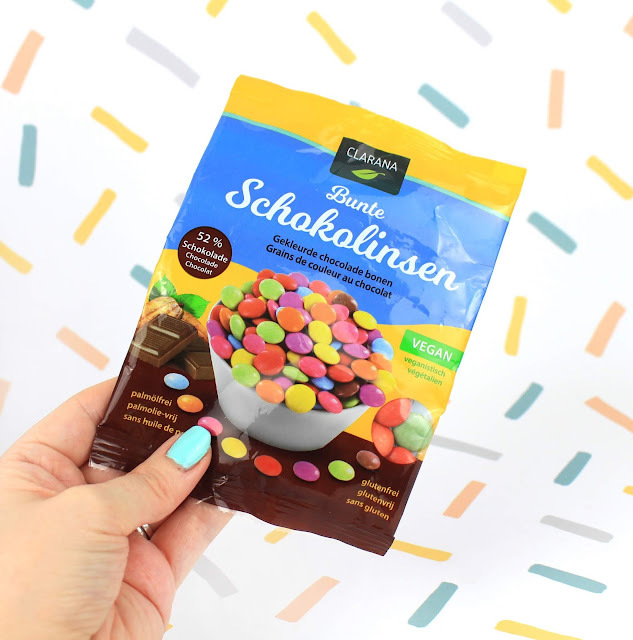 But we loved them and not only are they a perfect little bag for sharing in front of a film, they'd be brilliant for decorating cakes and ice creams, not forgetting those little buttons on gingerbread men! This is one hell of a chunk of rocky road, the portion is an incredible slab and I sure as hell couldn't manage it alone. I 'halved' it again and it was delish, the orange kick worked surprisingly well and yes it's complete with marshmallows! If I were to be picky, I'd say it wasn't the best rocky road I've ever tried as I prefer a little more of a biscuit within the cake whereas this felt like pure stodge. Maybe I'm more of a Tiffin kinda girl but it didn't spoil the cake bar at all, it was really tasty just a little sickly so if I had one again I'd definitely quarter it. 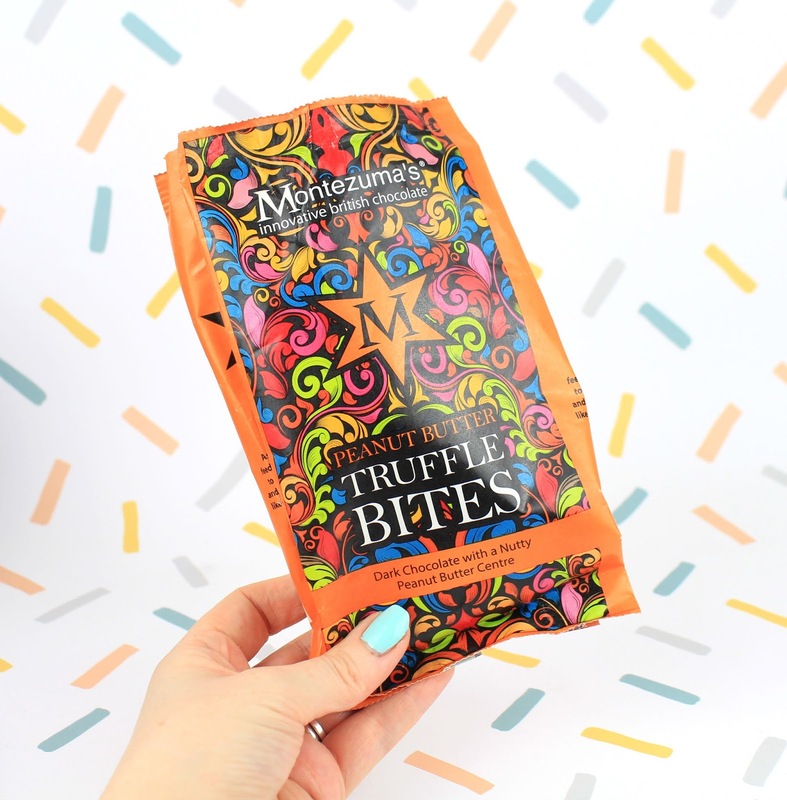 Another amazing little stocking filler and posh treat, these truffle bites are incredibly rich and full of flavour, so I found myself only needing one to feel like I'd had my chocolate fix. I'm not usually the biggest fan of peanut butter but these had just the right amount inside for them to be really enjoyable and I loved the saltiness, similar to that of salted caramel. Beautiful packaging too, amirite? These were cute, very different and tasty, but not my favourite. That didn't stop us from devouring a bag and they were still an incredible treat, it's just other bits from this box hit the spot more. I love Shreddies too or Malt Wheats if you're a buyer of the cheaper version of the famous cereals and these were exactly that, covered in a deliciously generous coating of salted caramel chocolate. Also the bag is beyond adorable. I believe I've had these little fudge cubes before so I saved these til last, but I enjoyed them so much and can't wait to get another bag in for Christmas time. 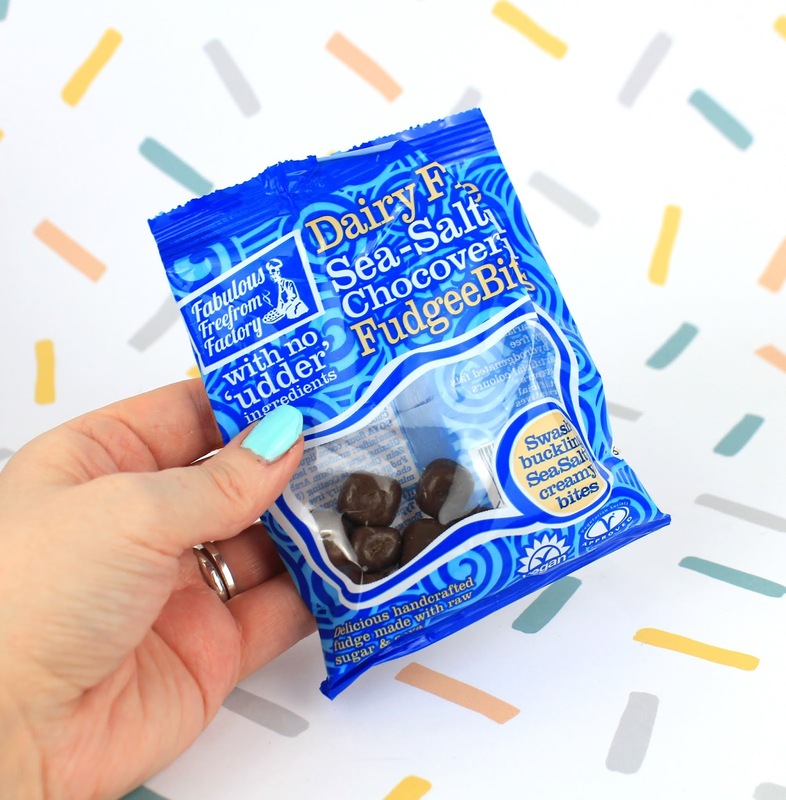 They go great with a hot drink too and the fudge really does melt in the mouth and give a pleasant little salty kick. I loved all of these sweet treats like crazy but the only thing I will say, is it works out slightly cheaper to buy all of the bits separately on The Vegan Kind website than all together in the box. 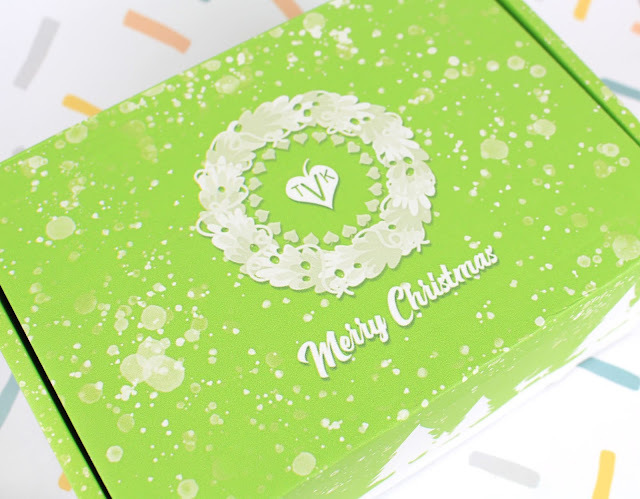 Granted there's a Christmas gift box as part of this package, the products come wrapped in a sheet of tissue paper and a sticker too so depending on your preference there, will determine how you decide to purchase. This size selection box costs £17.99 plus delivery, where as the products all came to £16.90 and you'd have to still pay delivery on top of that if you bought it all on it's own. You do get a little candy cane included but they are cheap as chips so I didn't include that in the total pricing, but I highly doubt one candy cane costs £1.09. Overall though, it's a great gift idea for the crazy vegan in your life and due to how the boxes are presented, you could just give it as it is without any wrapping. That's always a bonus, especially if you're wanting to cut down on your Christmas waste and watch your carbon footprint! 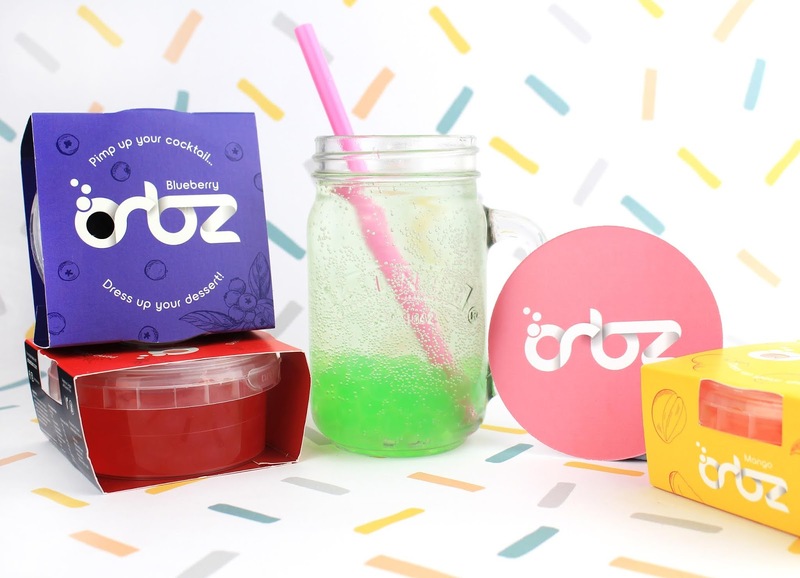 Have you tried any of these gems before? This year I took on Inktober, an annual art challenge throughout the month of October (original concept by Jake Parker) where creatives from all over the world push themselves to create a new piece of art every single day. I tried this last year and failed miserably after day 2 (in my defence I was on holiday and despite taking drawing stuff with me, it just wasn't happening!) and I remember trying it the year before but not getting very far either. However, 2018 was the year that I totally smashed 31 days of drawing and I thought I'd share some of my favourite entries in a short blog post. 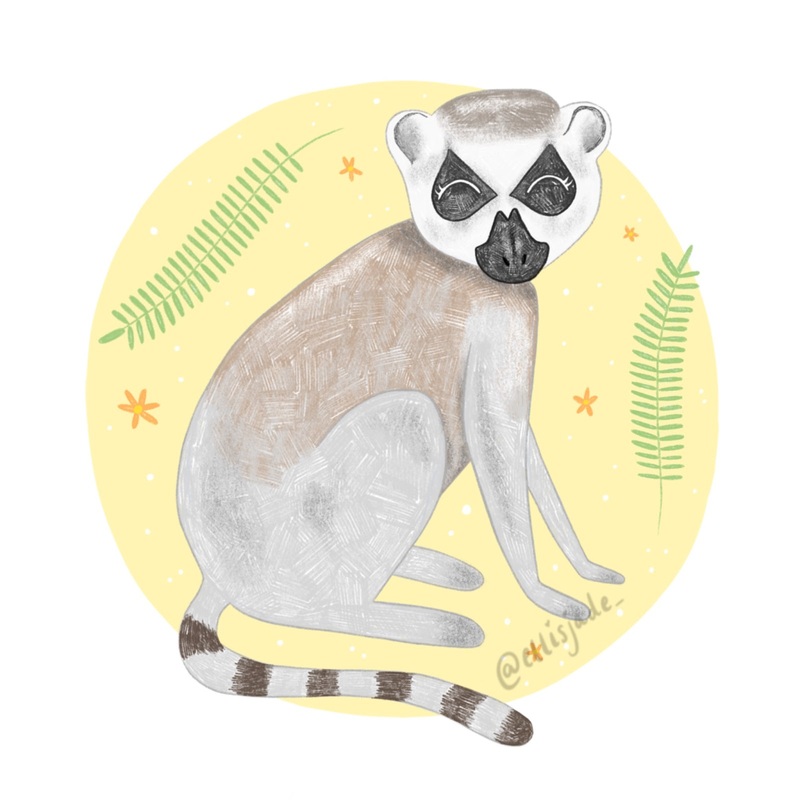 The main thing I discovered about myself during this challenge was that I've been 100% converted to digital art and feel so addicted to drawing animals now. I really miss not having something to focus on drawing each and every day however I have enjoyed the past couple of days not having that pressure to complete something which has been nice. I've been catching up on some other things but can't wait to sit down this evening to create another new Christmas design! 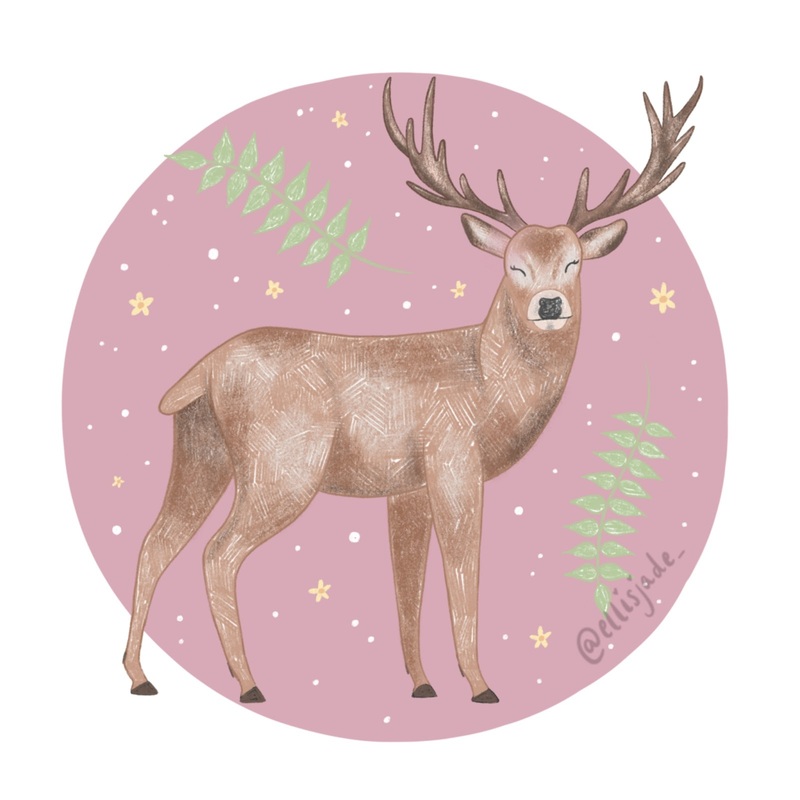 This handsome chap was my absolute favourite piece from the entire month and I've been a busy bee turning him into Christmas cards which has been really fun and I love that I'm able to use these designs in the shop and not just for Inktober. I did notice that some of the prompts that I was dreading were actually the ones I enjoyed the most and I've popped them below so you can see. The prompt list I stuck to was by @adelaydeart over on Instagram but you can choose any of the thousands of prompt lists created by other artists or there's nothing stopping you from creating your own which is something I might do next year! I really enjoyed the challenge and feel so motivated to draw a hell of a lot more and experiment with even more animals! The world of cruelty free beauty can seem a little daunting at first, even more so when you start looking into whether products are also vegan. It's easy to assume something that is vegan is also cruelty free as some brands aren't crystal clear with their advertising *cough Garnier*. 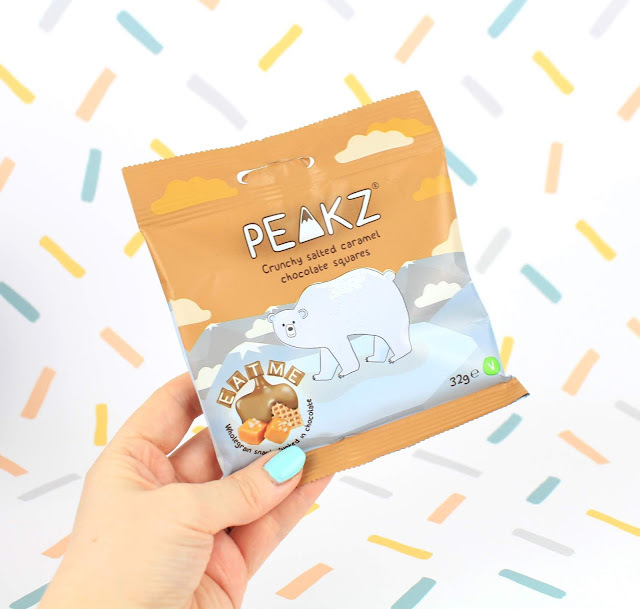 So when a brand like The Vegan Kind put together Beauty Boxes every couple of months and do most of the work for you in terms of finding new and exciting brands to try, it's all rather exciting! They kindly sent me their October Beauty Box which was also a collaboration with YouTuber Monami Frost who hand picked all of the products included. I can honestly say I was a little stunned at the value for money of this particular box so if you want to find out what was inside, stick around! 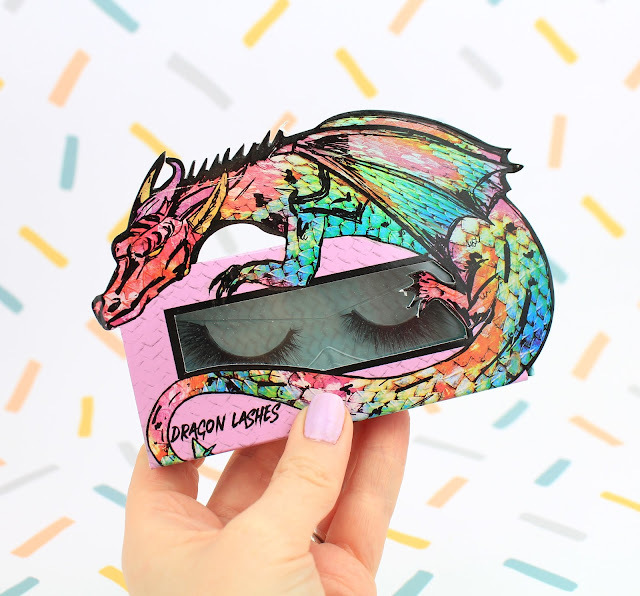 These were the first things that really grabbed my attention when I first opened the box and they are the most glamorous false lashes by Unicorn Cosmetics, so full of volume with such a gorgeous shape to them. I mulled these over for quite some time as the packaging is just too pretty; it's shimmery and metallic in different lighting but since I can't remember the last time I wore lashes like this nor can I see an occasion any time soon, I have decided to keep these to one side to include in a giveaway over on my YT channel. I always like to pass things on to those who will use them and make the most out of them plus they're too beautiful to keep hidden away in my makeup drawer. Out of anything beauty related, hair stuff is what excites me the most and this was not a disappointing product in the slightest. 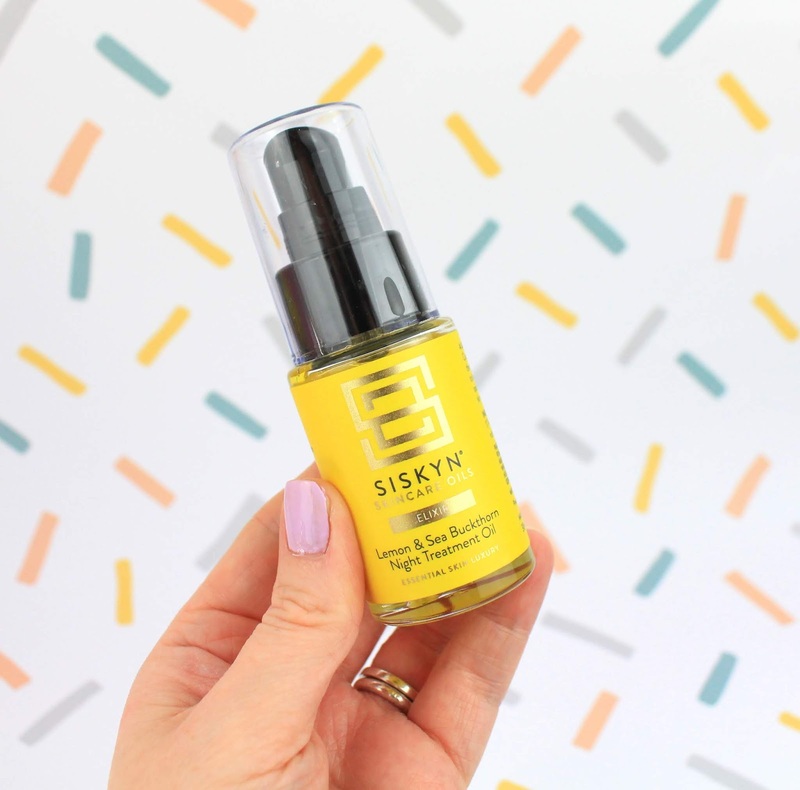 I'm always a little skeptical of serums because some can leave your hair looking just plain greasy but this was wonderful and a little goes a very long way. I have quite a dry feel to my hair so when I style it, there's always some fly aways and my hair is also naturally curly and wavy (it does what it likes) and it isn't a nice kind of curl unless I style it. It looks frizzy in places before working on it so I thought I'd give this a go before I started any styling and instantly noticed my hair looked smoother and the curls looked like they were meant to be there, not just some crazy nest on the top of my head. I also used it after straightening my hair and it left it looking lush and sleek - really recommend this to any hair care lover! 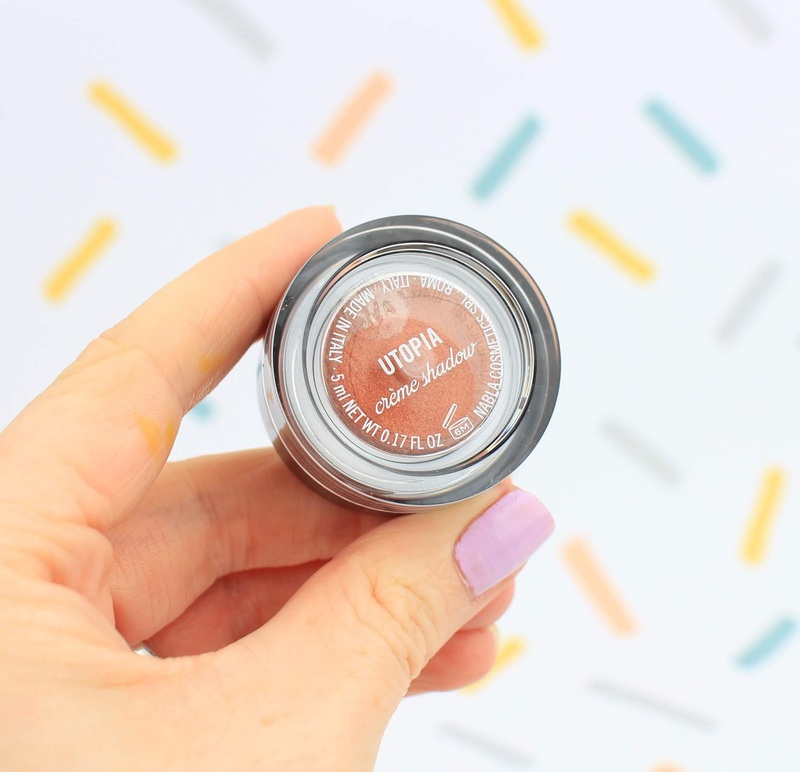 This shade is absolutely stunning and perfect for Autumn and I tried wearing it yesterday for a trip to the pumpkin patch, but I couldn't for the life of me work this stuff. 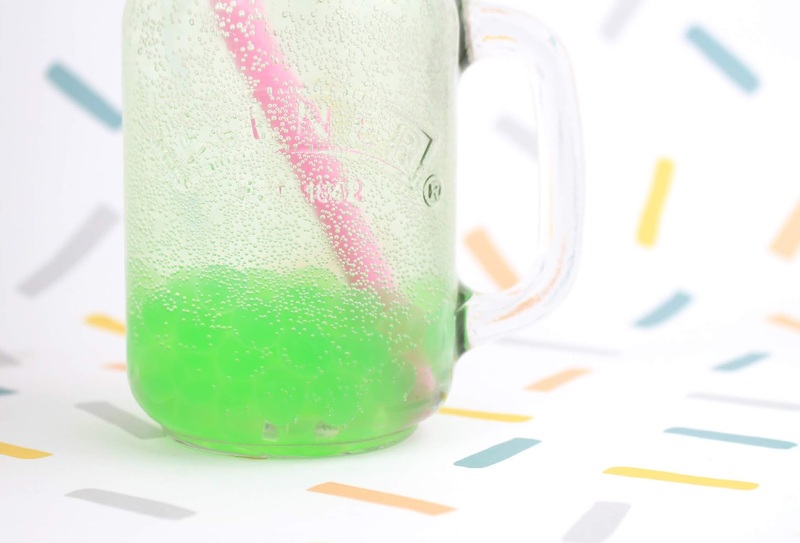 It seemed very hard in the pot and I had a tough time trying to blend the stuff to the point where it was hurting my eyes trying to blend it out and I was worried I was doing more damage than good to my eye lids. I tried it on the back of my hand too and unfortunately it's not a product that I like. The pigment also isn't as punchy as it looks through the container, but based on your makeup preferences this could be good or a bad thing. 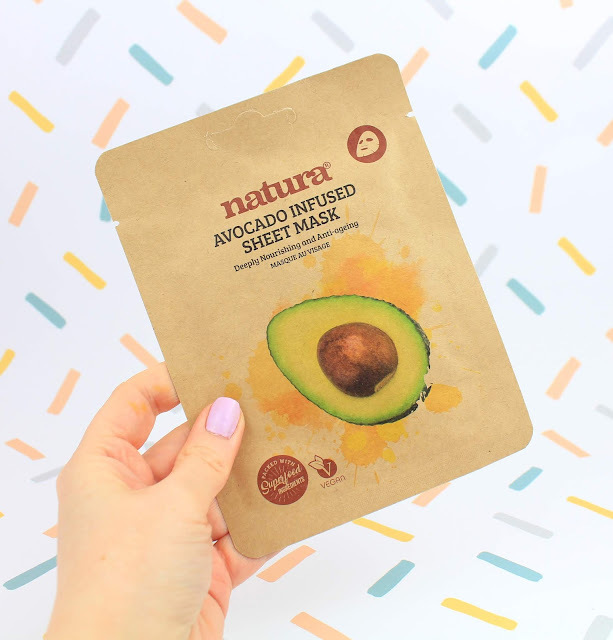 I love a good face mask, it's my favourite way to treat my skin and I'm trying to get into the habit of using one once a week or every 2 weeks to help get my skin into a better condition. Since I have already done a face mask this week I'll be saving this one and sharing my thoughts a little later on, but I have really high hopes for it and I actually love sheet masks as from previous experiences, they feel so much more nourishing rather than cleansing which is really what my face needs right now, with the colder weather giving it a beating! As glorious and posh as this bottle of facial oil looked and smelt, my skin has been an absolute demon recently and I'm trying to get it under control by eating more raw foods, less sugar, less processed crap and more exercise and water. So I passed this little beauty onto my Mum who was beyond pleased to receive such a treat. 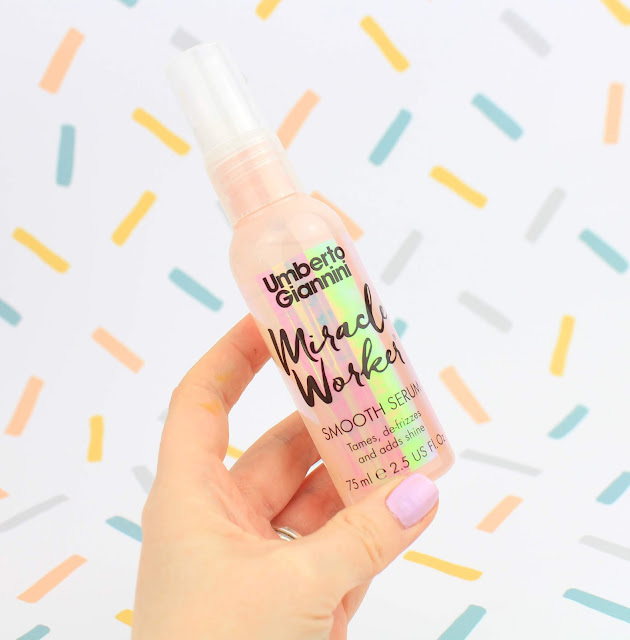 It smelt divine though and I would have definitely have given it a go, if my skin wasn't going through the worst bout of acne I've ever had in my life. At £38 a bottle, this alone means you get your money's worth with the October Beauty Box! 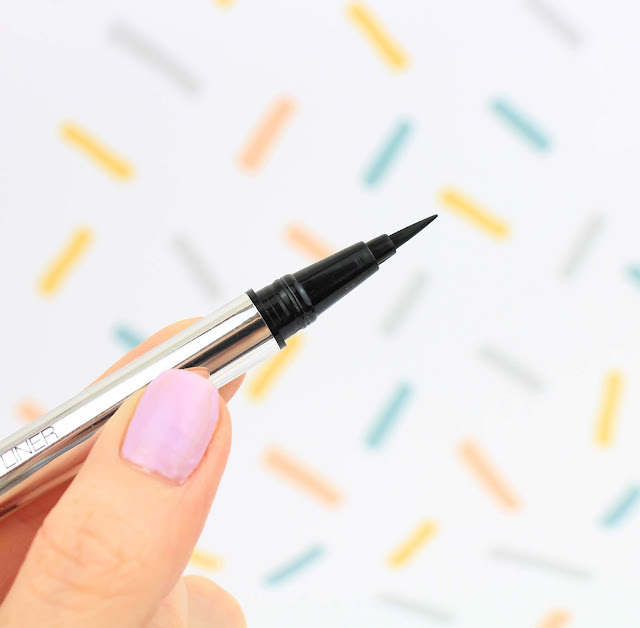 Now the world of vegan liner is one that frustrates me a little. I used to be a huge lover of the Supercat Liner by Soap & Glory but after many attempts at trying to find whether they're 100% vegan and cruelty free, I gave up with it and have tried liners from other brands and they've been awful so the quest continues. 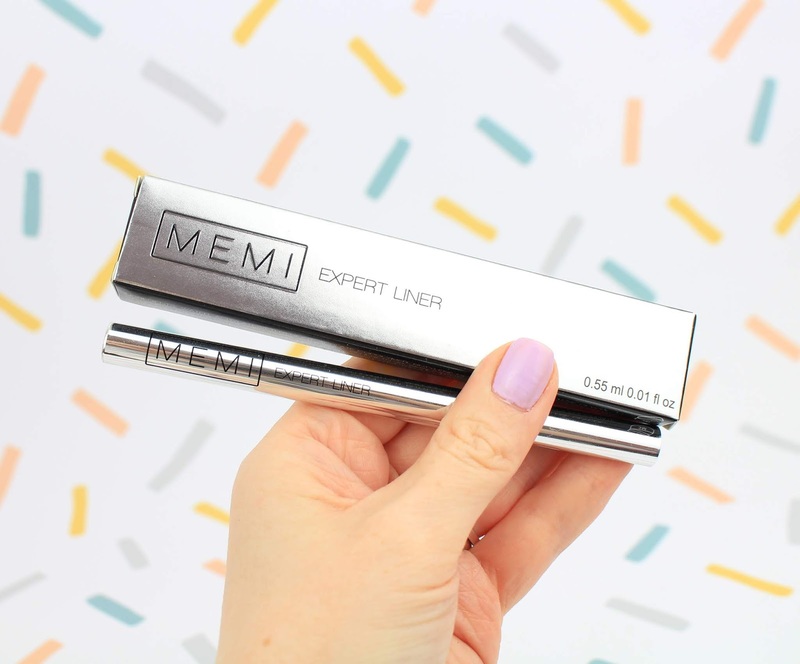 I was actually really impressed with this one by MEMI, it's super jet black and glides on like a dream. The only thing I didn't like is it seems to almost dilute after the first stroke then you have to shake it to get a nice even black again. Luckily there is something like a ball inside the tube that makes shaking it very effective and I love the lovely pointy nib, it stays in place all day, easily removed with coconut oil. So the deets on the box itself: the Beauty Box goes out once every 2 months and costs £15 plus £3.15 postage. 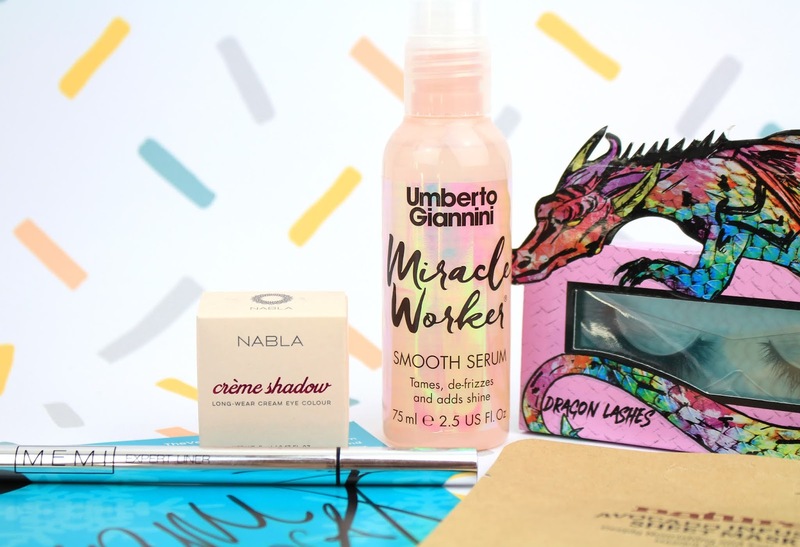 The contents of this particular box came to a total value of over £80 which I think is bloody fantastic and there was an impressive range of products inside, which I feel other beauty subscription boxes have lacked from experience. 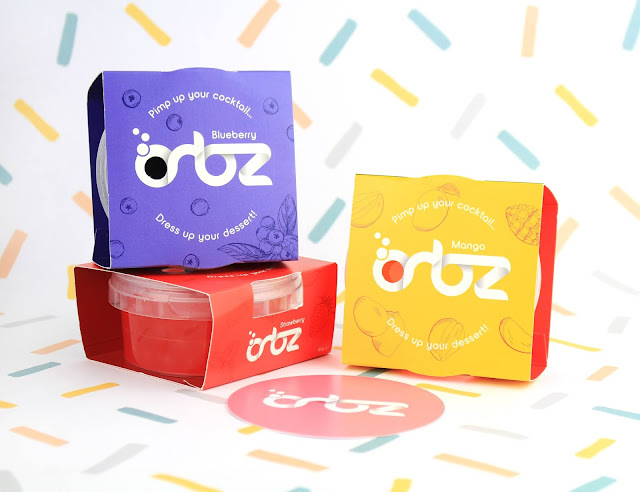 There was something makeup, something pamper related, something for your hair; I personally feel like the range included was amazing and would happily go ahead and grab the next Beauty Box after this experience. Also included were some exclusive discount codes for some of the products so if you did find yourself really loving something, the generous codes were an extra treat. As a whole, this is 100% the best Beauty Box I've ever tried (and I've tried 2 other popular ones in the past that don't guarantee cruelty free or vegan products inside) and it would make a lovely one off treat or an ongoing subscription service for the beauty and pamper junkies. 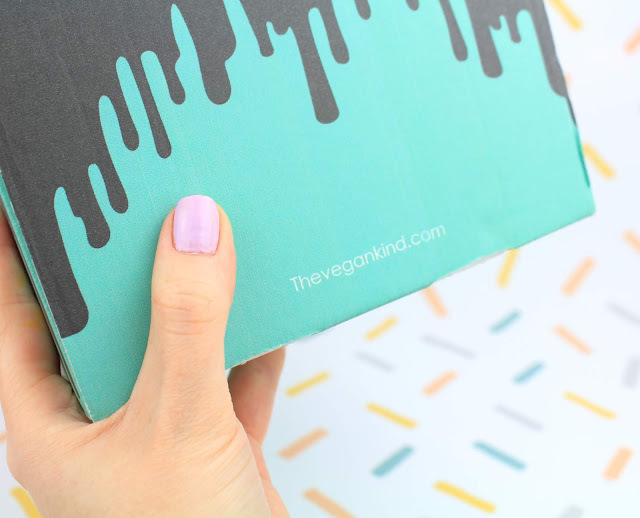 Have you ever tried the The Vegan Kind Beauty Box before? I really didn't intend on abandoning my blog for nearly a whole month but these past few weeks I've been super busy with completing my enamel pin Kickstarter, bringing out lots of new products and giving my small business shop a good old refresh. 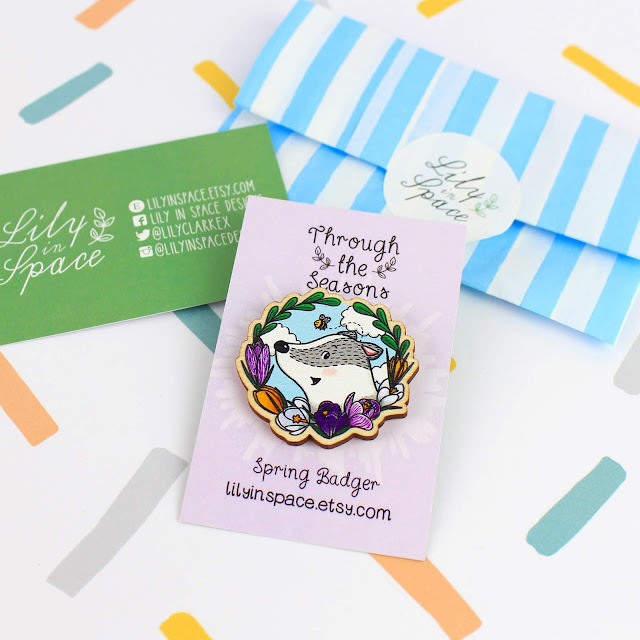 The pins started to arrive in drips and drabs a couple of weeks ago and this time last week I was taking the last of them off to the post office after a long weekend of checking, wrapping and packing each parcel for the lovely bunch who backed the Kickstarter! 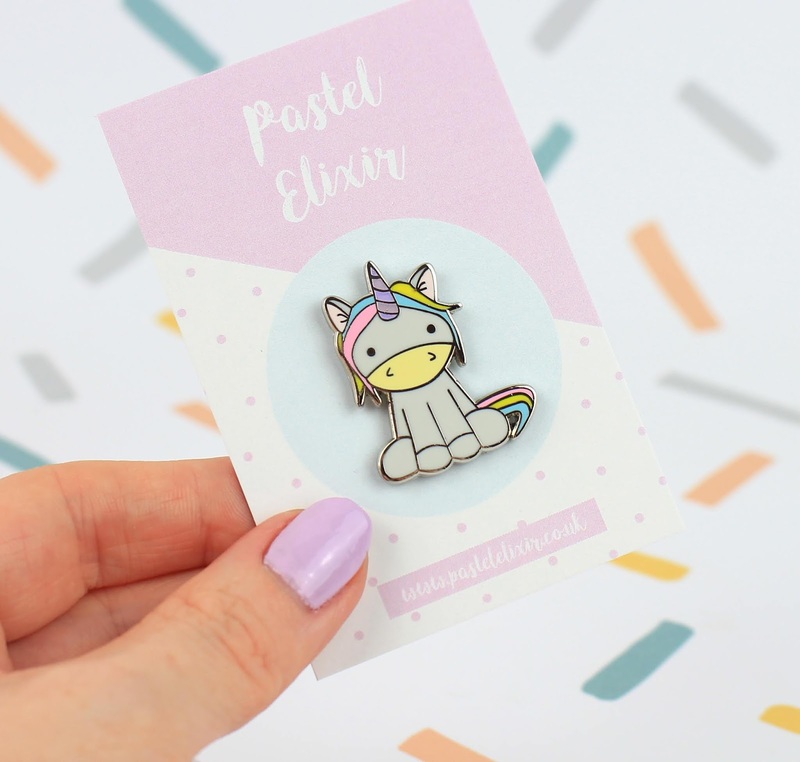 A huge thankyou once again to all of you who helped to bring these to life - I was super nervous since they were my first ever set of pins but I'm chuffed to bits with how they turned out! Then I decided I wanted to update my button badge selection so I got 5 new designs of those in to get the ball rolling and I'm absolutely in love with them! They're a great alternative to enamel pins and I'm hoping to get lots more in during the new year. 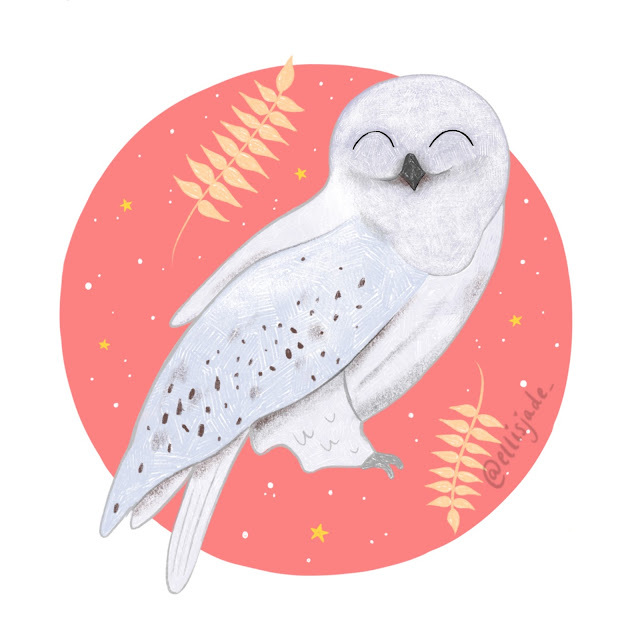 And THEN I found some gorgeous recycled card online and decided to see what it would look like if I handmade some greeting cards again and I love them so much that I've been making lots of new different designs using my Inktober 2018 illustrations. Inktober is something else that has been keeping me super busy; for those who might not be familiar with it, it's an art challenge where you draw or create something every single day throughout the month of October and it's tiring me right out but also forcing me to produce lots of different work that I'm very pleased with! I did get a fresh delivery of key ring samples which I also added to the shop and I'm seeing how they go before buying a bigger batch in. 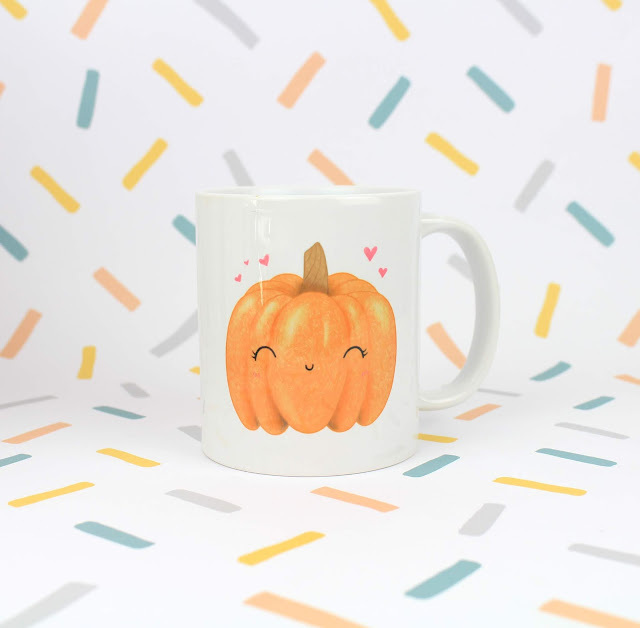 Thanks to my Patrons I also managed to buy in a stash of blank mugs to start refreshing the mug collection too but overall there have been so many new and wonderful things landing in my shop and I'm super happy with all of it! Now it's time to really get a move on with prep for some upcoming Christmas fairs! Which is your favourite from the new range?